Can the SyFy Channel keep making original movies faster than I can review them? The answer seems to be yes, and they’ve got a few years head start on me anyway. The title of this told me, again, exactly what to expect, so I settled down for some metal tornado-based fun. Lou Diamond Philips must just really like to work, because he’s too big a star even now to be working in films like this, whereas Greg Evigan seems to have transitioned fairly gracefully from the sitcom star of years gone by to the name in films like this, “Megaconda” and “Invasion Roswell” (reviewed elsewhere on this site). The gist of it all is, Evigan is the boss of Helios World, a company that’s got the technology to harness the power of solar flares via satellites and beam it down to earth, creating clean electricity for ever. How does this create a metal tornado? Well, a disgruntled former employee has discovered a flaw in the system and tries to call Evigan before the system goes online to warn him. Does he listen to the warning? If you’re seriously debating that question, you may be too stupid to carry on reading these reviews. Anyway, science blah blah blah, some energy from space escapes and creates a magnetic tornado, picking up every bit of metal in its path…apart from all that stuff that the makers of this film forgot was metal, like the zips on peoples’ clothing and the reinforced centres of concrete building supports and money and door handles and computers and…you get the point. Lou is a scientist at Helios World and realises there’s a problem but can’t stop it in time; so along with his girlfriend (Nicole De Boer, aka the 2nd Dax from “Star Trek: Deep Space Nine”), his son and…his brother in law? Uncle?…they try and figure out a way to stop it. Evigan, on the other hand, is denying there’s any problem, and certainly not one caused by his company, and is planning to go ahead with another test of their equipment, this time at their base in Paris. If you’ve seen one of these films, you’ve seen them all. People run around, the pencil-pushers try and stop our heroes from saving the day, sacrifices must be made and ultimately disaster is averted, just about. 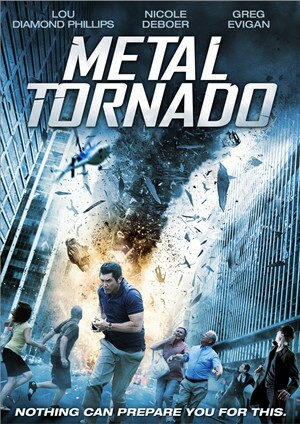 There was a point when I became convinced that the film was initially about something else, and they added in the metal tornado at the last minute, because no-one seems to really pay much attention to a giant tornado filled with metal moving across the landscape. Just for kicks, go and bash a piece of metal into another piece of metal. Pretty loud, eh? Now, imagine that happening hundreds of times a minute at really high speed, and just ponder how loud that would be. 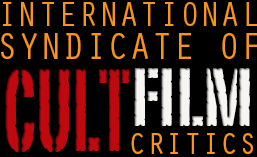 Guess how loud the metal tornado in the film is? If you guessed “virtually silent”, then you win a shiny No Prize. 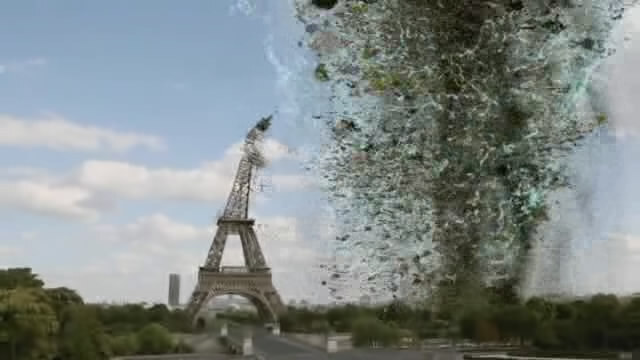 Again, like “Ghost Storm”, the survivors are far too jolly about surviving, considering the enormous amount of carnage (goodbye, Eiffel Tower…actually, goodbye all of Paris) their company is responsible for. Our heroes are watching TV at the end in a well-lit home, despite acknowledging seconds previously that every electrical circuit in the state would be fried, and the newsreader calls it “one of the worst man made disasters in years”. Seriously, what other man made disasters are happening in the world of “Metal Tornado” that the destruction of one of the world’s great cities and vast swathes of Pennsylvania isn’t no.1? For a SyFy Channel effort, it’s…not too bad, I suppose. I fear my standards are dropping irrevocably. When I start praising one of their films to the skies, please call the authorities. At least there was no estranged couple being reunited thanks to the metal tornado in this one. Bye, Paris! Sorry about that easily avoidable catastrophe!